Seeing a gaggle of five year old girls dressed as Frozen’s Queen Elsa is not exactly the strangest sight, especially during any weekend birthday party. 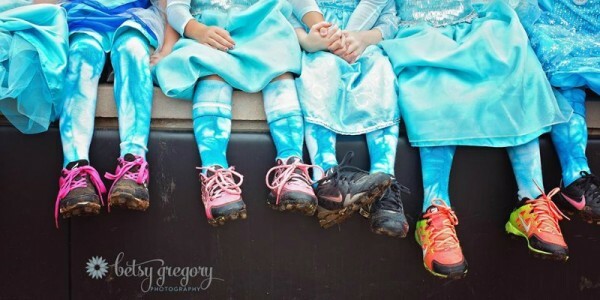 But when these twelve little Elsas took to the baseball field, pairing their sparkly blue dresses with baseball cleats, pink mitts, black eye paint and ice cold stares, their stunning photos made headlines around the world. While their “cute but intimidating” photo shoot showcases a group of playful little princesses having fun on the field, these empowering images also take a swing at deconstructing society’s ideals of beauty. 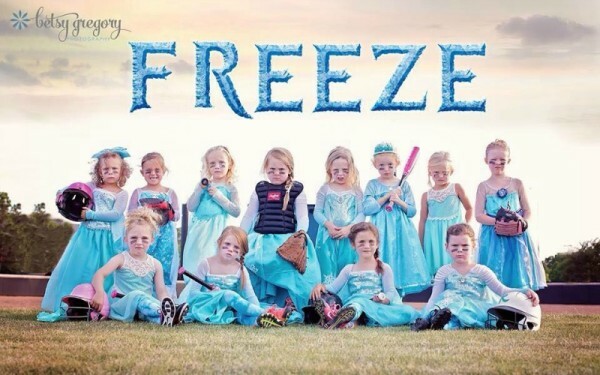 Come and meet “Freeze” – an Oklahoma girls t-ball team that has hit a home run for little girls around the world. These photographs, taken by photographer and mum Betsy Gregory and posted on Gregory’s business page, have become viral sensations and it is easy to see why. Behind the staged tough faces and sparkling gowns Gregory has captured a message so powerful for young women to embrace – life is all about having fun and choosing your own path. If that includes being a princess, then great. If that includes playing sport, then great. If that includes both, then even greater. “You can be cute, sparkly and tough, and that’s okay,” Gregory said. “We want the girls to be proud of who they are” and know that they don’t have to choose between “being a princess and getting dirty”. As much as these rough and tough little ladies love getting dirty on the field, it is clear they also love showcasing their inner princesses. 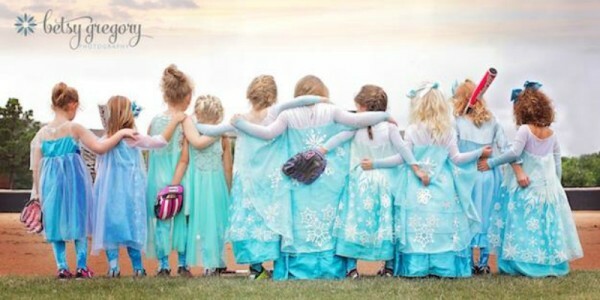 In preparation for the photo shoot, Gregory was surprised to discover that almost all the girls already had one (or two) “Elsa” dresses in their wardrobes. Make sure you check out our photo series on “strong is the new beautiful” for even more stunning shots that knock gender stereotypes out of the ball park.